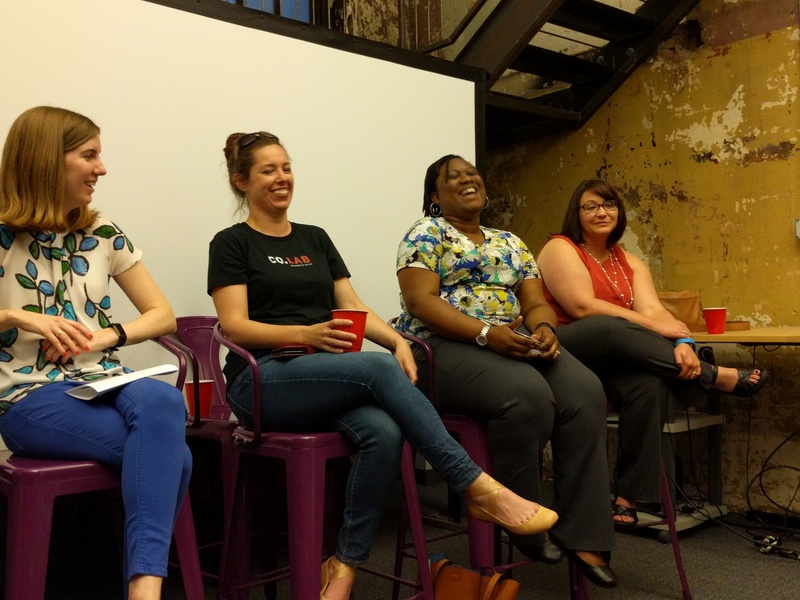 On Wednesday, April 26th, we began building our community of Women Who Code in the Raleigh-Durham area! Marjorie Sample, Ruth Suehle, Jelissa Thomas, Jennifer Houchins talk about how they balance the demands of work and their many varied interests. I have been a programmer for such a long time, and I have never worked on a team with another woman coding on the same project. I have worked with some really amazing technical women, but I have often felt really alone on my teams as the only woman. We have a huge technology scene here in RTP, and I know there are many brilliant women out there, so I’m really excited to begin meeting them as we begin having meetings, presentations, and Social Code events in our area. I’m so unbelievably proud of the team of Directors I am a member of and the greater Women Who Code network. We will be supporting the Women Who Code in our area and supporting each other!